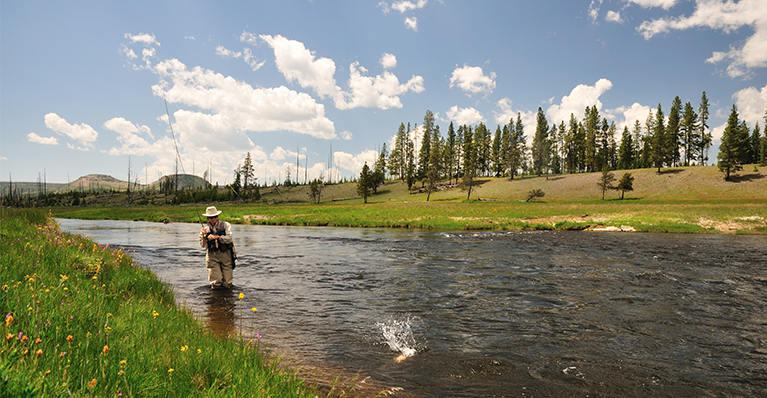 One of the best activities available at Turpin Meadow Ranch, we think, is the fishing. 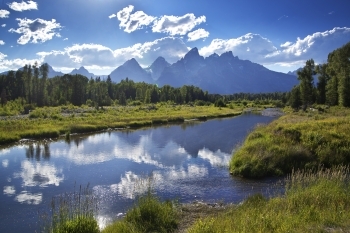 Just steps from your door, you can enjoy fly fishing for cutthroat and blue-ribbon trout, and we also provide full-day fishing adventures in the over 1000 streams and 100 lakes of Yellowstone National Park. But don’t take our word for it. 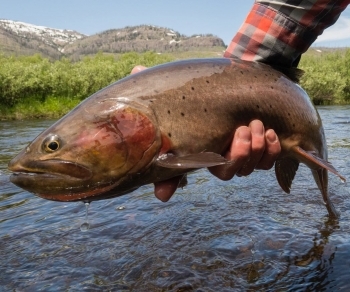 Rodale’s Organic Life recently published a story about the surprising health benefits of fly fishing, saying, “turns out the second most popular outdoor activity in America is also really good for you.” Here are some of their arguments. Reeling and casting exercises the arms and shoulders without straining the wrists, and also activates core muscles, which are needed to help keep you steady, especially in the water. It’s low-impact, so it can be taken on by all fitness levels, and ramped up by hiking, kayaking or canoeing to select fishing spots. It also aids balance and coordination, not only from the casting motion itself, but also in negotiating the uneven and sometimes slippery terrain of riverbanks and creek beds, which activates smaller muscles on the abdominal walls and back. Outdoor activity restores attention, combatting the fatigue of routine and stress that burns out your mental capacity. Specifically, the neural circuits controlling focused attention and rapid reaction time will likely strengthen, and the thrill of catching a fish will elevate mood through the dopamine brain boosts. Tying and inventing new flies can also provide an added boost to the creative and intellectual process. The best fly tyers become familiar with entomology to learn how to replicate the bugs and insects fish of an area crave. Some refer to it as “Zen,” because the graceful casting surrounded by the soothing sounds of water and nature provides both a peaceful, calming feeling, as well as a mood boost. It requires patience, and improves when you let it all go and relax into the dance. The sun, the fresh air, the wind, and even the rain can be a very invigorating activity. Plus, it’s usually a forced break from screens and other stressful and mind-busying demands of everyday life. It’s so healing, national organizations have formed to promote fishing as a rehabilitative therapy for disabled and traumatized veterans, breast cancer and other illness and trauma survivors. Although it can be a soothing recipe for solitude, spending time with friends and family is the second reason people say they go fishing. With couples, even if both partners aren’t equally participating, the process promotes “prosocial tendencies,” which include increased helpfulness, altruism, and cooperation. Plus, spending time together in nature is one of the 8 habits of happy couples. Whether you fish for your health or simply for the enjoyment, there are many compelling reasons for fishing as a hobby. Bring your own gear, or rent ours, but let this sport benefit you on your next visit to Turpin Meadow Ranch.